Valentine’s Day doesn’t have to only celebrate romantic love. For those of us with kids, Valentine’s Day is a great opportunity to show them our love in an extra special way. And, one of the best things about kids is that more than anything, they just want to spend time with us. That means no lavish gifts or fancy dinners are expected! If you need a little inspiration, I’ve compiled 6 ideas for a Valentine’s date with kids. And remember–there are DIY options for all of these ideas, so you can choose to go all out, or you can keep it simple! If your kids are anything like mine, they LOVE arts & crafts. Going out for an artsy date can be as straightforward as visiting out your local Paint-Your-Own-Pottery studio. We love our local Color Me Mine! 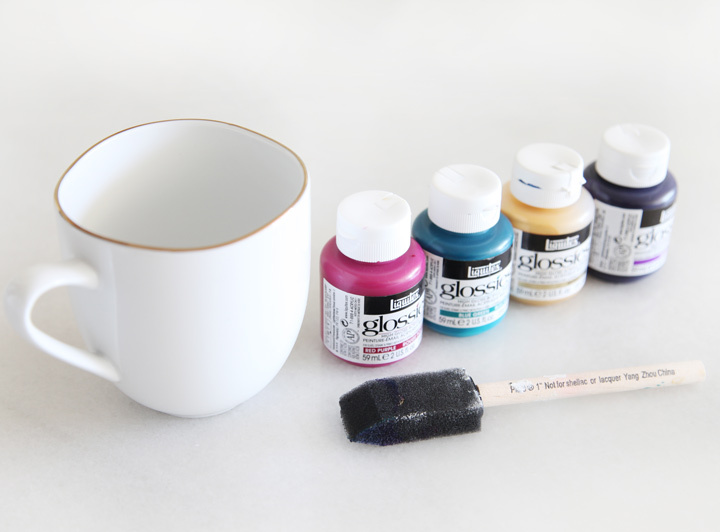 For a really easy DIY version, all you need to purchase are blank mugs or plates and some porcelain paint in your favorite colors. Then, let your creative juices run wild! A quick bake in the oven will permanently set your design. Don’t let the title scare you–no sweating or gym clothes required. For a more “active” Valentine’s date with your kids, how about bowling, mini golf, or even laser tag? 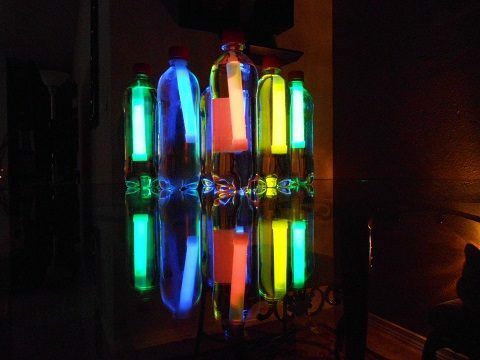 For a ridiculously easy at-home option, check out this fun DIY cosmic bowling activity. I have girly girls, so this is our fave. Our local nail salon even has special services for little girls, so it’s just perfect! 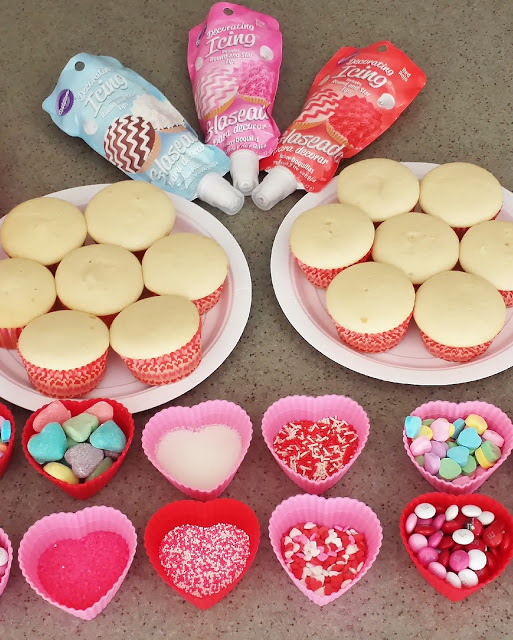 With just a few supplies, many of which I bet you already own, you can host a super special Valentine’s spa day for you and your littles. 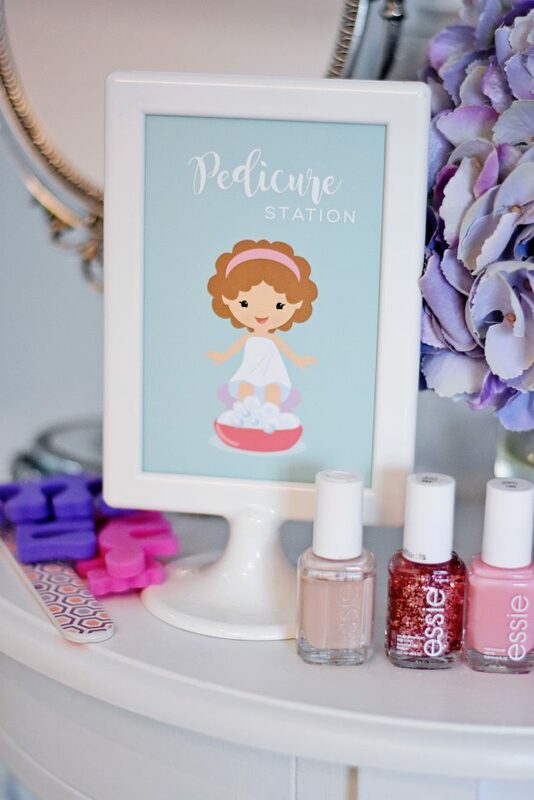 Emily at Project Nursery had a spa lunch, face masks, and mani/pedis for her daughters’ spa day, as well as tons of special, adorable details. A movie night is a tried and true date night activity for anyone. If your kids are old enough, a night out at the movies, complete with popcorn and candy, can definitely be a special Valentine’s Day treat. 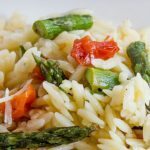 If you’re not confident your kids are ready for a trip to the movies quite yet, there are so many cute ideas to elevate a movie night in. In my opinion, the best part of the movies is the snacks! 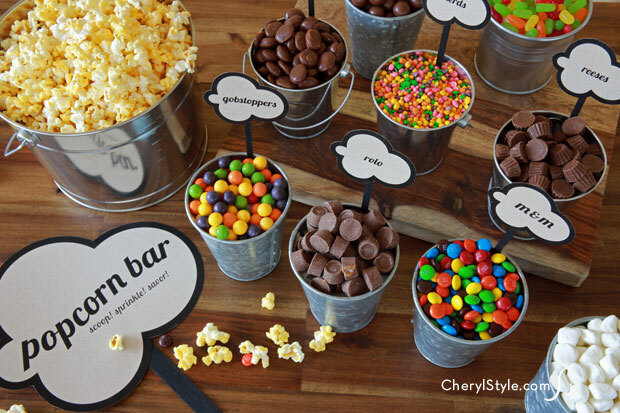 Here’s some inspiration for an epic popcorn bar–I know my kids would flip over this! Now, I’m not suggesting you get all Eloise on me and stay the night at the Plaza Hotel. But, it is a proven fact that kids LOVE hotel rooms–and it doesn’t even need to be a fancy hotel! Last week, my husband got an email with last-minute hotel deals. The Hampton Inn in town had a special for $100 a night, so as a special treat he booked it for me and our girls. The girls had the time of their lives–we stayed up late, ordered room service, watched movies, and of course–used the hotel swimming pool and hot tub! Looking for an option that’s even more budget-friendly? How about a backyard camp out? 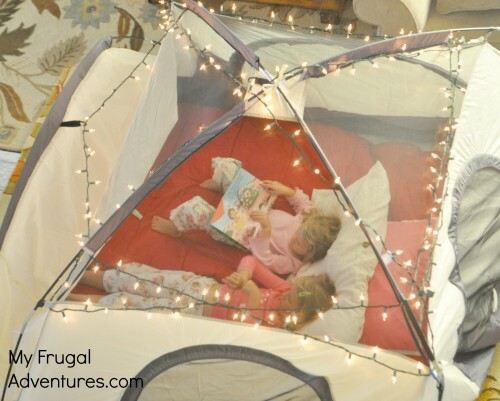 Or, if you are unfortunately stuck in the polar vortex–you can do a camp out in the living room! 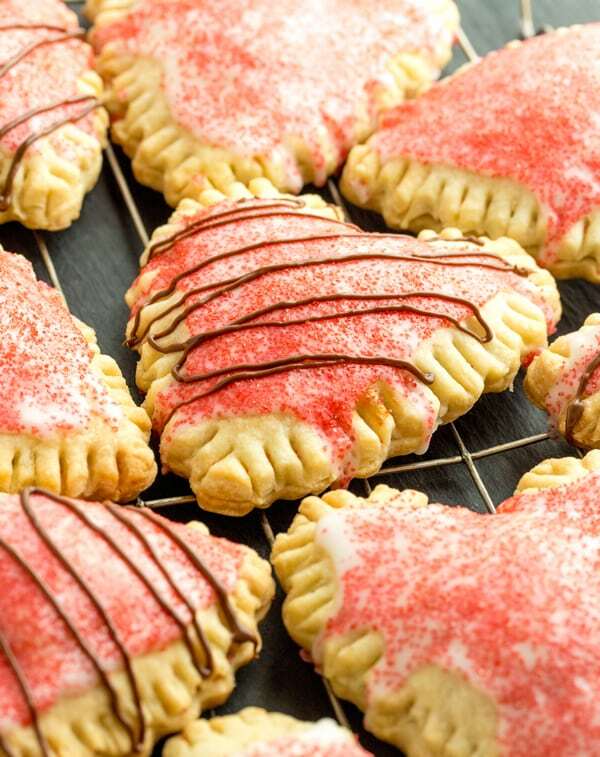 This is definitely a Valentine’s date with your kids they won’t soon forget! Depending on your kids’ ages, having a dinner date with them may not always be a relaxing experience, amirite? So why not go straight for dessert? Have dinner out or have dinner in, but either way, head out for a sweet treat–ice cream, fro-yo, or your favorite bakery. 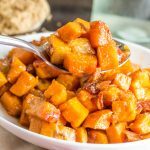 Of course, there are so many ways to make this a special at-home treat as well. But here’s a couple that I know my kids would simply adore. For the ice cream lovers, this DIY Sundae Bar will fit the bill. 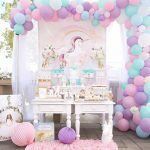 And if your kids’ sweet tooth leans more towards baked goods, you have to check out this Sweet Shop party that includes a DIY cupcake bar! 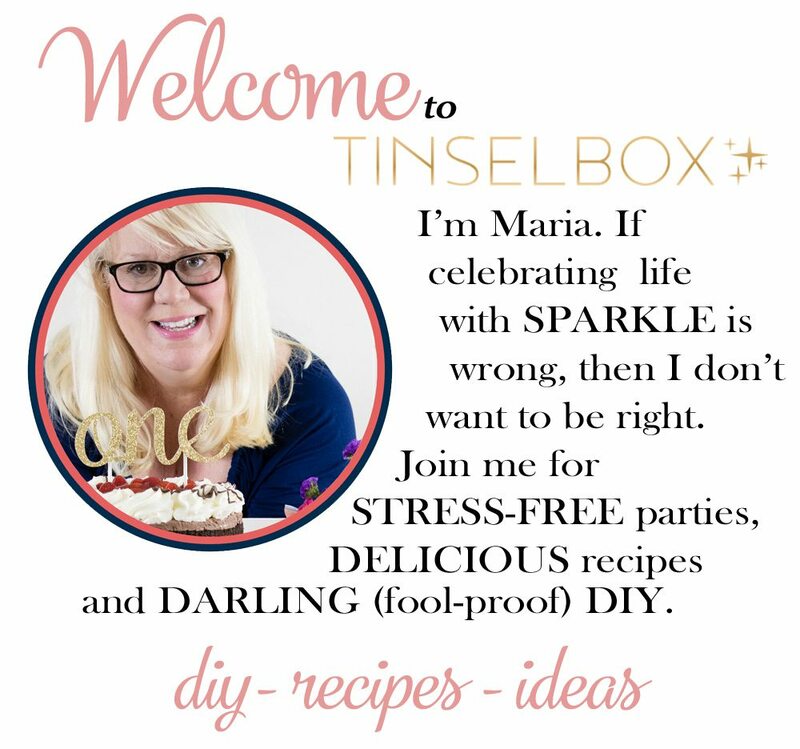 Don’t forget these always easy, crowd pleasing pop tarts by TINSELBOX! I continually remind myself that the best gift I can give my kids is my time and attention, which, admittedly, is not always easy. Valentine’s Day is the perfect opportunity to shower them with love and attention in a special way. 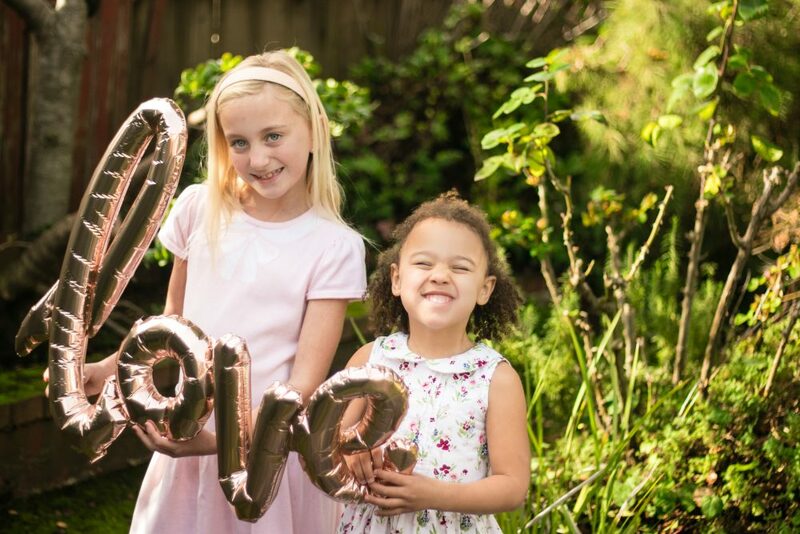 I hope some of these ideas spark some inspiration for you to have a Valentine’s Day date with your kids–or any special little person in your life!